Traditional pose of handsome bride and groom standing outside. Bride is holding a large bouquet of white roses. 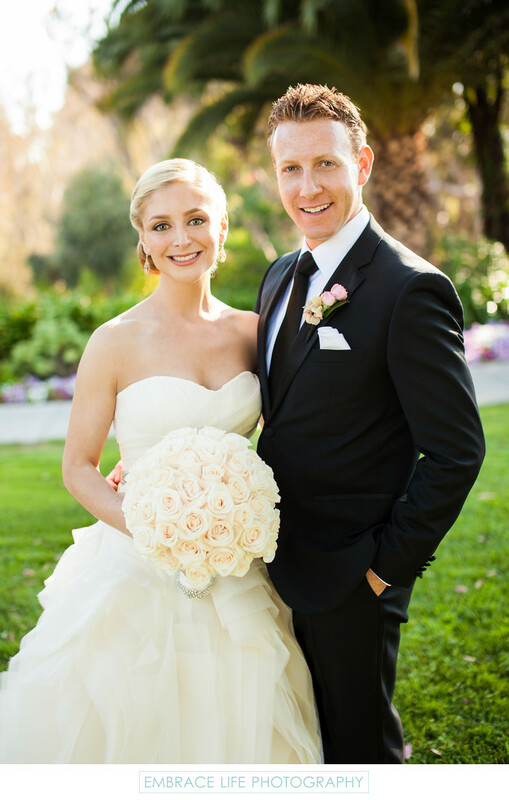 Groom wears pink rose boutonniere.